Dum Pukht has been one of the finest restaurants showcasing the 200-year old legacy of the nawabs of Awadh. 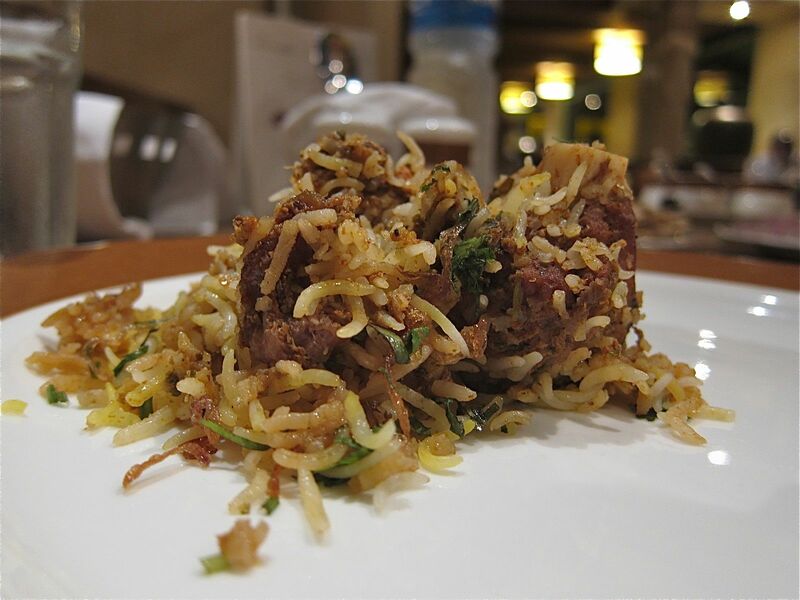 Characterized by the subtle use of spices, this restaurant serves the renowned Dum Pukht biryani and the Kakori kabab, best enjoyed at a leisurely pace. Dum Pukht at the ITC Maratha in Mumbai recently reopened its door after a complete renovation. 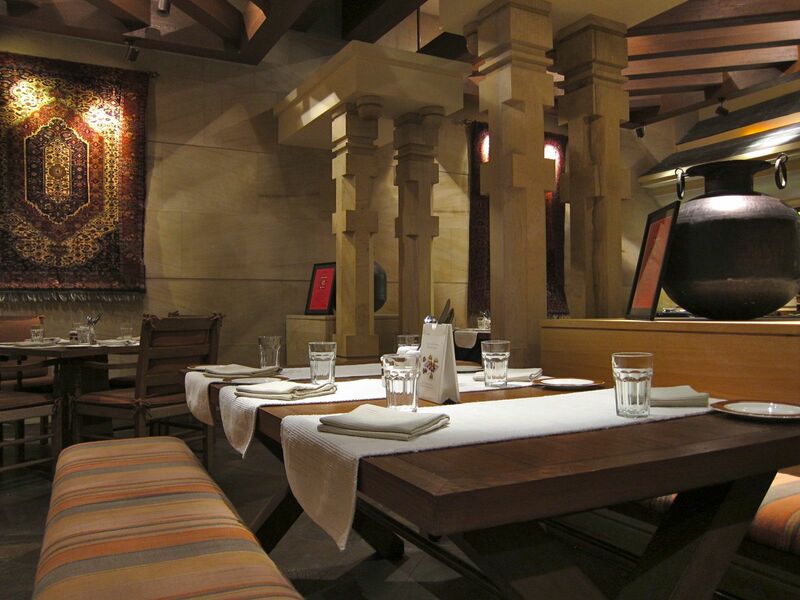 While the menu remains the same, the decor has been changed for the better. The newly done up dining room is resplendent in white and gold and enhanced by the the crimson red of flickering oil lamps clustered in the center of the room. The soft ghazal playing in the background completed the effect. I began with a sampler of their signature kababs: the kakori and the gilafi. The former, a melt-in-the-mouth kabab of finely minced lamb flavored with cloves and cinnamon, wrapped around a skewer and char grilled in the tandoor before being drizzled with saffron. The later, made of minced chicken laced with crisp juicy tomatoes and capsicum, and complemented with green chillies and onions. Very different tastes and textures, but equally amazing on the palate! 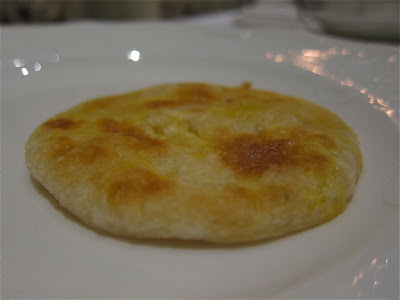 The sheermal bread that accompanied the kababs was flaky, sweet and well executed too. The Murgh Handi Qorma and the Dal Dum Pukht came next. The Qorma was made of boneless drumsticks of spring chicken that has been simmered in brown onion, garlic and yogurt based gravy which also had a hint of saffron, rose water and almonds. Absolutely delightful! The highpoint of a meal in Dum Pukht was clearly the next dish: their 'dum' cooked mutton biryani. Made of basmati rice simmered with lamb in mace, ittar and kewra, and finished in a sealed handi - a traditional Indian cooking pot. 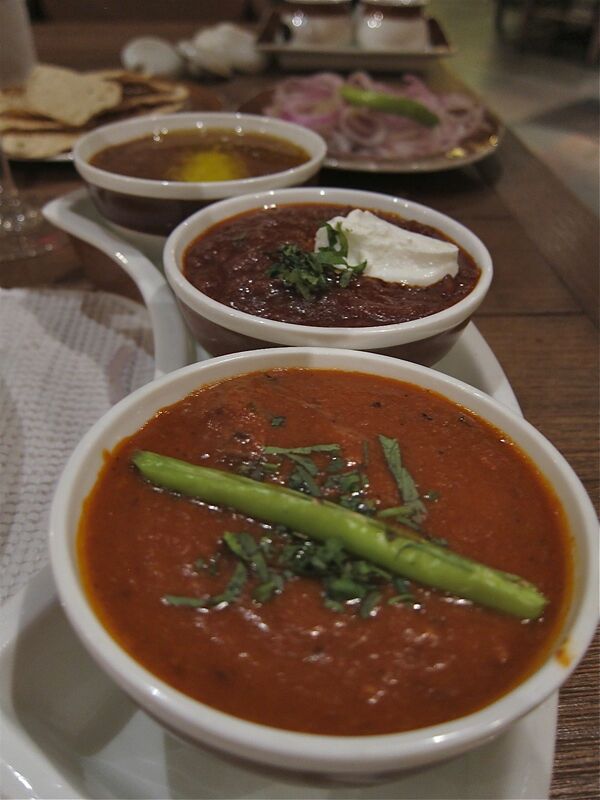 The Burhani raita that is served with the biryani was also very good. 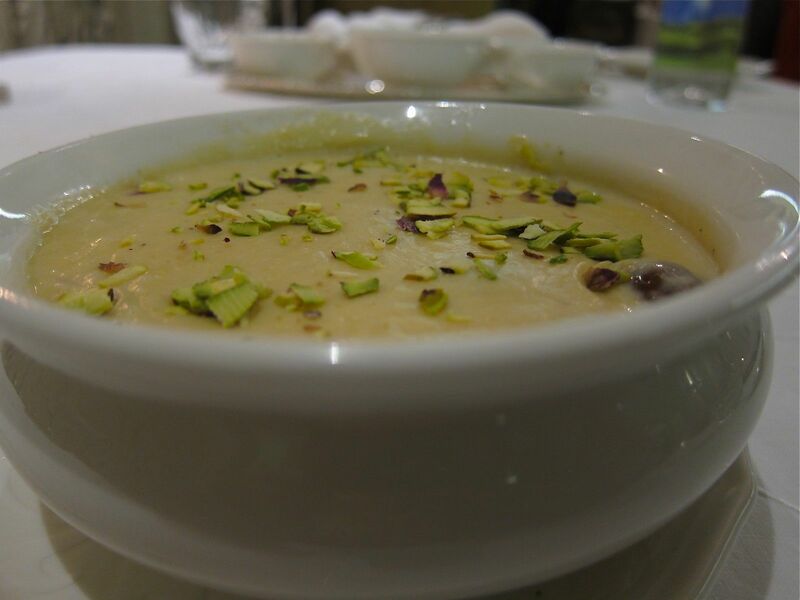 The dessert was an interesting one: Shahi Rabdi: succulent morsels of gulab jamun mixed in a bowl of the thick rabdi topped with slivers of almond and rose petals. 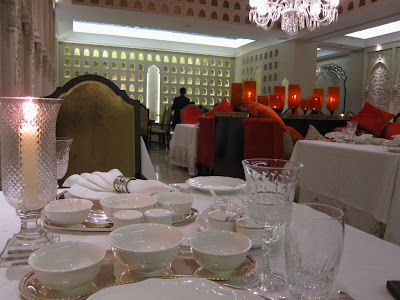 All in all, the dinner was everything I had come to expect at Dum Pukht. Loved the new interiors. 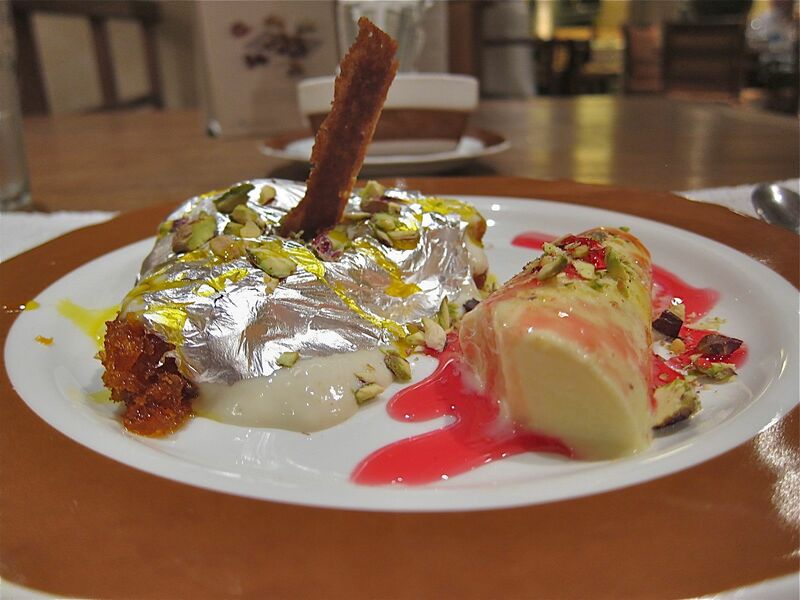 Dum Pukht style of cuisine was born in the Awadh region of North India about 200 years back. The food itself became synonymous with the slow, regal and luxurious lifestyles of the Awadi nawabs. 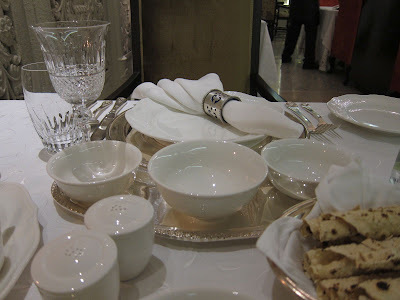 Interesting this cuisine came about during a period of famine when arrangements were being made to feed the poor. Ultimately, Dum Pukht food is about aroma when the seal is broken at the table and the fragrance from a royal era floats up in the air. Speaking of nawabs, I was in Hyderabad recently for a press event. This is the other city in India famous for its princely past and its own variation of Nawabi cuisine. 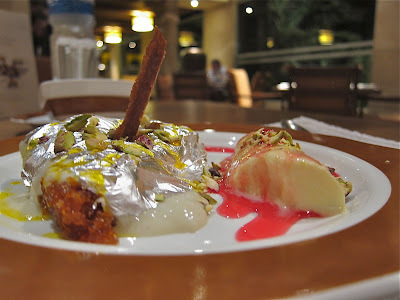 At Kababs and Kurries, the restaurant of the ITC Kakatiya, I was able to sample a few delectable kababs unique to this city and the local version of biryani. The Tala Gosht is a spicy kabab made from boneless cubes of baby lamb marinated with ginger, garlic and chillies before being cooked on a iron griddle. 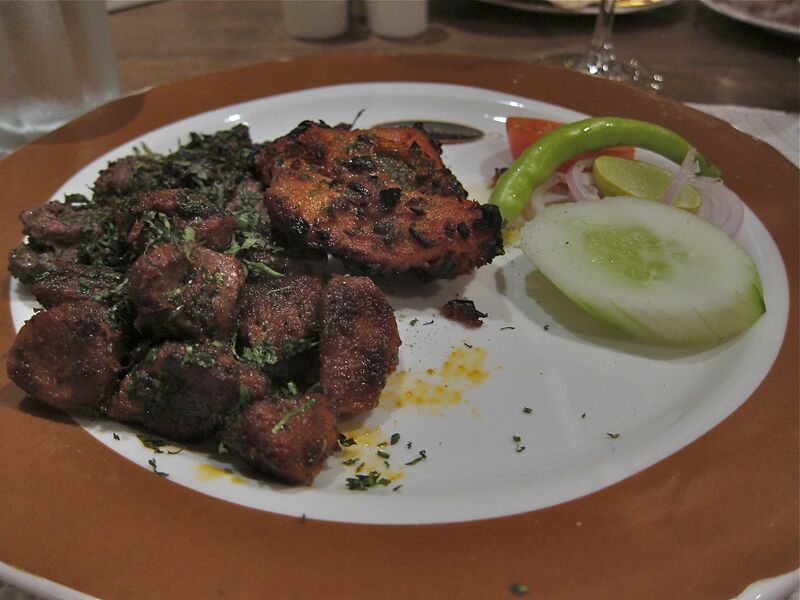 Pathar Ka Gosht is lamb escalopes marinated in native Deccan spices and cooked on hot stone. 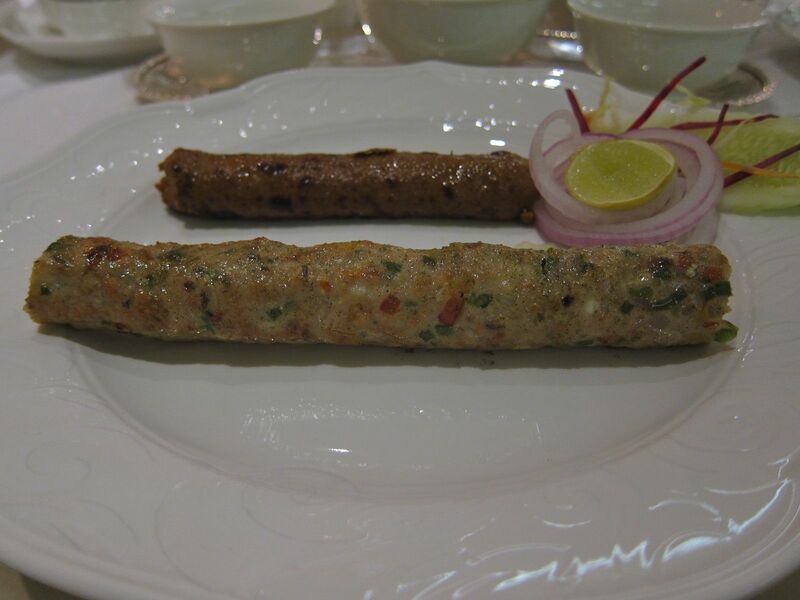 Then there is the Charminar Kabab, a combination of mutton boti covered with lamb mince and cooked on a traditional grill. They were nice enough to combine sampler sized portions of these kababs into my starter course. All of them were fiery hot - no surprise when you are in Hyderabad or anywhere in the state of Andhra Pradesh. 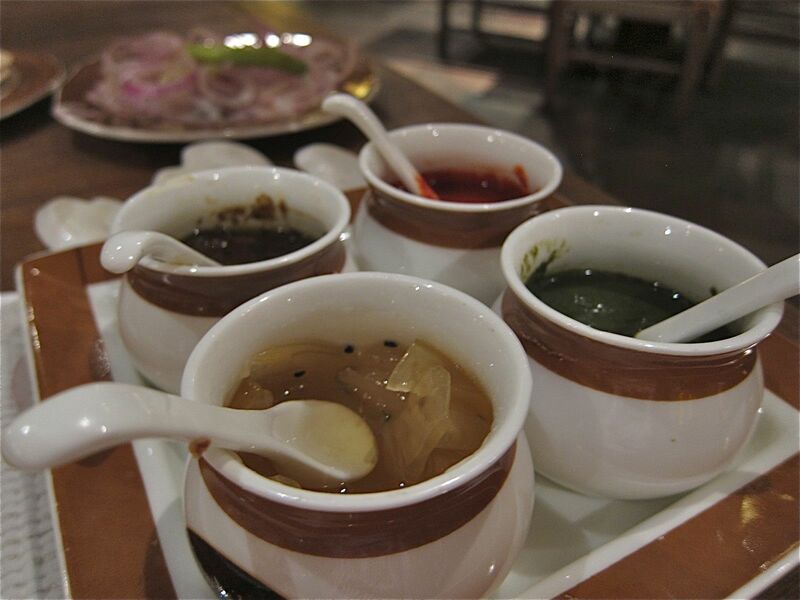 Four different chutneys and juliennes of onion drizzled with chaat masala provided some relief to the palate! 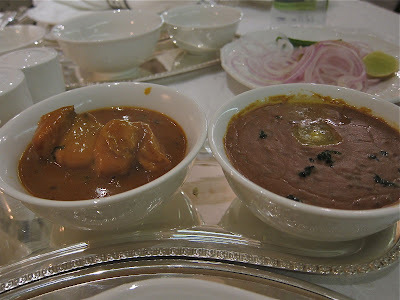 The Burhani Murgh and Daal Bukhara were delicious. The savory dish redolent of brown onions, caramel and mace. 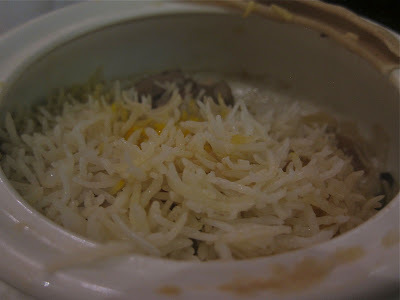 And finally, the Hyderabadi biryani - spicier than its Awadhi counterpoint, but every bit as delectable! They crafted a bespoke dessert for me that combined a portion of Shahi Tukra and Shahi Kulfi making for a very decadent ending to another lavish meal. Burp! I remember the Satyajit Ray movie, Shatranj Ke Khiladi, which painted a picture of the nawabs and their muses, highlighting how their pride and genteel lifestyle becomes more important than safeguarding their princely states - which eventually fall easily to the British without giving a fight. But after a filling Mughlai meal at Lucknow or Huderabad, one can almost forgive the Nawabs for their callousness during those times! Outstanding. I like your blog details. Really well written and well described, Shantanu! @Mihir: I guess I need to add this in general to my blog. I do not review restaurants for money or favors. None of these dinners were complimentary! Yours is a very nice blog - very well-written. The featured place is really beautiful and foods look delicious. @kuldeep: Thanks for your kind comments. Your blog is very interesting. I have a restaurant called 5 the Restaurant at Santacruz, Mumbai and on the 14th we are introducing a new Menu exclusively for 2. This event is called The Date Night. And we would like to invite your for the same. Can u mail me your contact details at kosha@socialkinnect.com so we can send u an invite.